Zynga - Coaster Ville. Bring back the thrills in the new game from Zynga! Design custom rollercoasters, build unique themed lands, and more. Watch your park guests come alive and react to your park designs in real time as you build the most thrilling theme park the world has ever seen! Note: Please write and share your comments, reviews, thoughts, hints, tricks, cheats, guides, or walkthroughs for this game! If you find any broken link, please report it by using our contact us form. Your post is great and meaningful. Thank you for sharing this article. I would like to receive better and better articles. 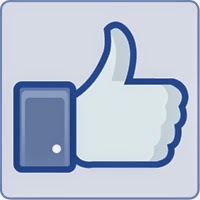 Like EG24 on Facebook to be notified about newest games! Please read our commenting rules before posting your comment! And please don't post spam comments and links. Spamming is crime! Posting walkthrough links to YouTube and other sites also is forbidden!